We have several appointment options - all of which you will have a private one to one consultation. You can also upgrade to our ever popular VIB appointment. How can we help you? When would you like to come and see us? I want to find the one at The Bridal Room! PLEASE CHECK YOUR SPAM FOLDER FOR OUR RESPONSE! Thank you, for your email, we will respond as quickly as possible. Please see our Appointment Notes HERE to help you prepare. All asterisks "*" are required fields. Have the ultimate bridal experience. Upgrade your bridal appointment! We can make your initial consultation appointment extra special with us! - click here to find out more! If you have any questions or queries please do get in touch. You are warmly invited to make your special appointment or you may just have some questions prior to booking – we can pretty much answer anything to do with wedding dress shopping, so do please get in touch – you will find us very friendly and approachable. Our appointments do get booked up very quickly especially Saturdays, so you may need to book in advance. If you would like to get to know us or you have a query on any gowns we stock please drop us an email - you'll find us pretty quick on responding! Please check out the postcodes to car parks below! We are set in the pretty village of Broadway which is still based in the West Midlands but is right on the edge of the Cotswolds. Within easy reach of all the local major towns, Cheltenham, Worcester, Stratford upon Avon, Warwick & Birmingham. Actually in Broadway, we are located about half way up the main High St, set a little off the main road, within a pretty courtyard. 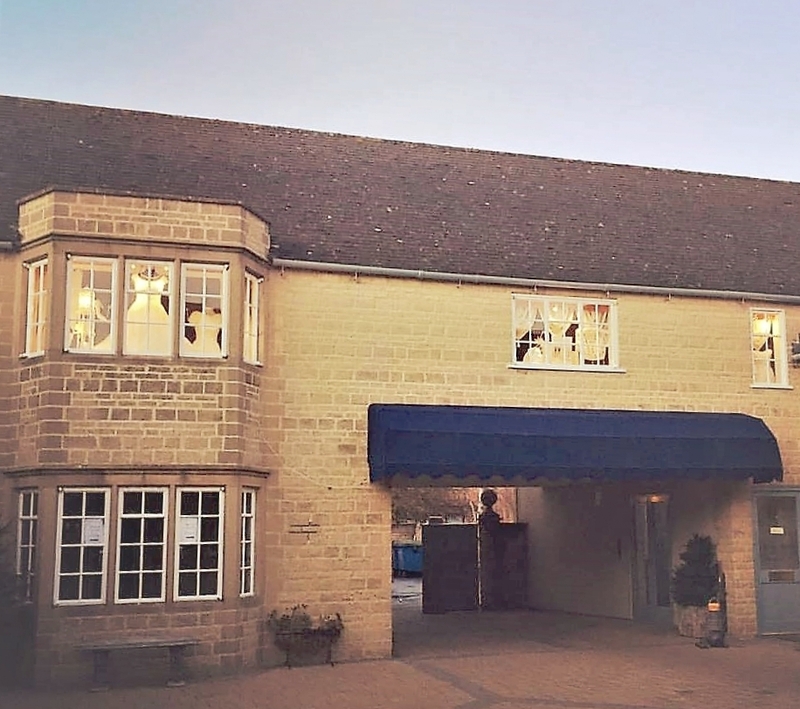 We are in a court yard between the famous Lygon Arms Hotel and also Number 32 restaurant. If you are struggling to find us ask in any shop and they will direct you or you can of course call us if you need to. Accessibility ; Please note our Broadway Boutique is located on a first floor location and is accessed via a flight of stairs, therefore it is not wheelchair accessible, and please NO buggies. There are 2 main car parks in Broadway we suggest you use when coming to see us. All car parks are sign posted, we suggest you park in the main High St car park which is located at the rear of the main shops in Broadway. Car Park Postcode is WR12 7AH its wise to book 2hrs minimum to cover your appointment so you dont feel rushed – 3 if you want a spot of lunch too in our gorgeous little village!! Parking along the High St is strictly restricted to 1 hour so we would advise to park in the car parks instead. We love children, however a bridal consultation is really not the perfect time for the little ones, they get easily bored and there are lots of things which could possibly harm them, including leaning mirrors, pins etc. Therefore due to health & safety we request PLEASE NO CHILDREN under 10 & over1 & space is limited. This is your time - so enjoy! Please Note; we are a first floor building - there is no access for buggies and pushchairs at the boutique. They have to be left downstairs. We realise that brides can lead a busy and hectic life and so whilst you are looking for your gown we can offer an out of hours appointment. They are only available for your initial consultation with us. Please note all special arrangement appointments are subject to a fee of £35, (Xmas/Bank Holiday Fee is higher £60) however should you purchase your gown at this appointment we will be happy to refund this. You are welcome to upgrade this appointment to a Bubbles & Afternoon Tea VIB Appointment. Call us to get in touch if you would like to book your time with us. We hope that we have covered everything here, dont forget to read our appointment notes (link at bottom of page) – but if you need any further help please do get in touch. We very much look forward to seeing you soon at The Bridal Room Broadway….